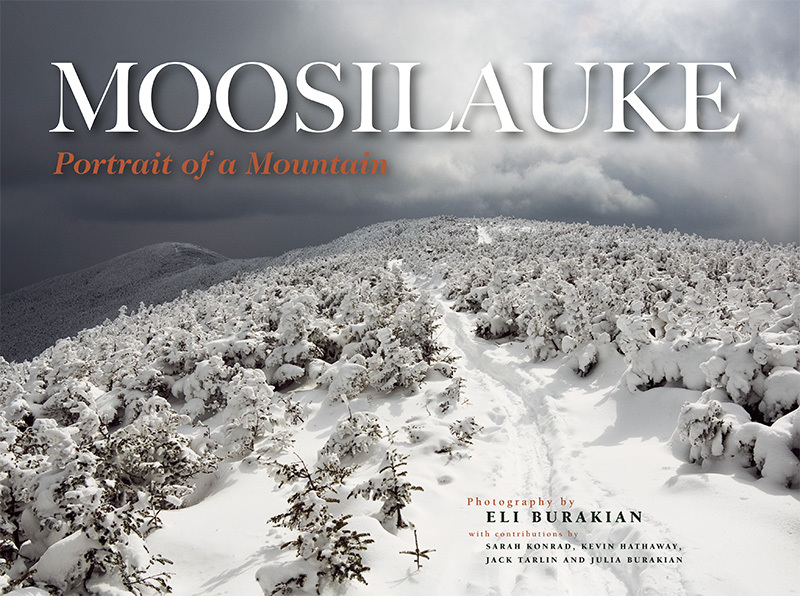 Moosilauke: Portrait of a Mountain, by Eli Burakian, 2009. Spectacular large-format hardcover photo book of "The Moose," created by a former manager of the DOC Ravine Lodge who is now a gifted professional photographer. Superb images range from sweeping mountainscapes to forest and streamside scenes and intimate portraits of flora and fauna. Also includes series of historic Ravine Lodge photos. The photos are accompanied by a varied and interesting text. Hardcover, 160 pp., 12 1/4" x 9 1/4".